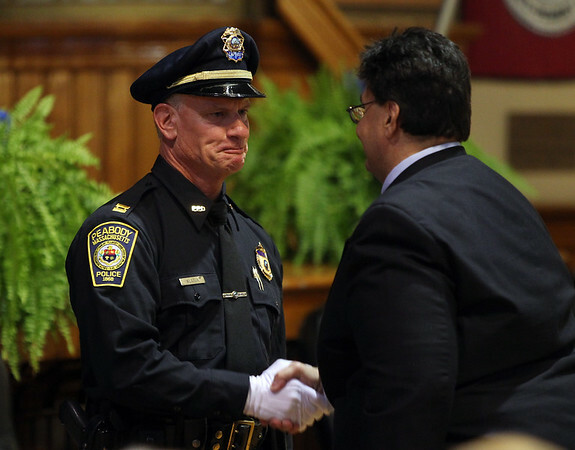 Newly sworn in Peabody Police Captain Scott Wlasuk, left, shakes hands with Peabody City Clerk Tim Spanos, after taking his oath on Wednesday afternoon during a swearing in ceremony. DAVID LE/Staff photo. 10/1/14.